The September dumping ground sees a full slate of releases, from alien carnage to inspirational drama to Nicolas Cage at his Nicolas Cage-iest. 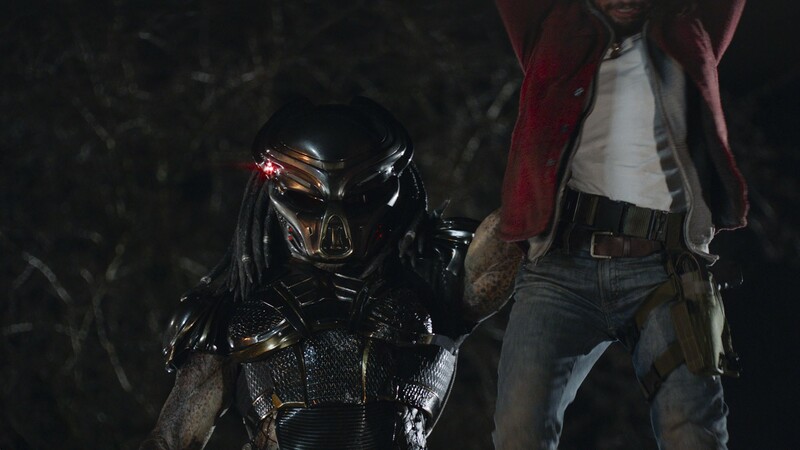 Shane Black's The Predator over-complicates the concepts simple alien-chase appeal. Unbroken: Path to Redemption continues the Louis Zamperini story with a second half just as incomplete as the first. The historical drama Where Hands Touch fashions a complicated study of nationalism. A documentary filmmaker makes the rise of Donald Trump all about him in American Chaos. Eric D. Snider finds the trippy revenge thriller Mandy a movie Nicolas Cage couldn't not be in if he'd wanted to. White Boy Rick doesn't sugarcoat its fact-based story of a poor family making bad choices. David Riedel notes that Glenn Close's performance is all that salvages The Wife's tale of insufferable white people. In this week's feature review, MaryAnn Johanson delights in the perfect "cozy mystery" pleasures of A Simple Favor.